Stand out from the crowd with unique and bespoke banner artwork with no extra lamination needed. Our roller banner selection measures from 800 x 2000 mm in artwork size and have excellent print quality finish, with vibrant colours to highlight your product / services well . 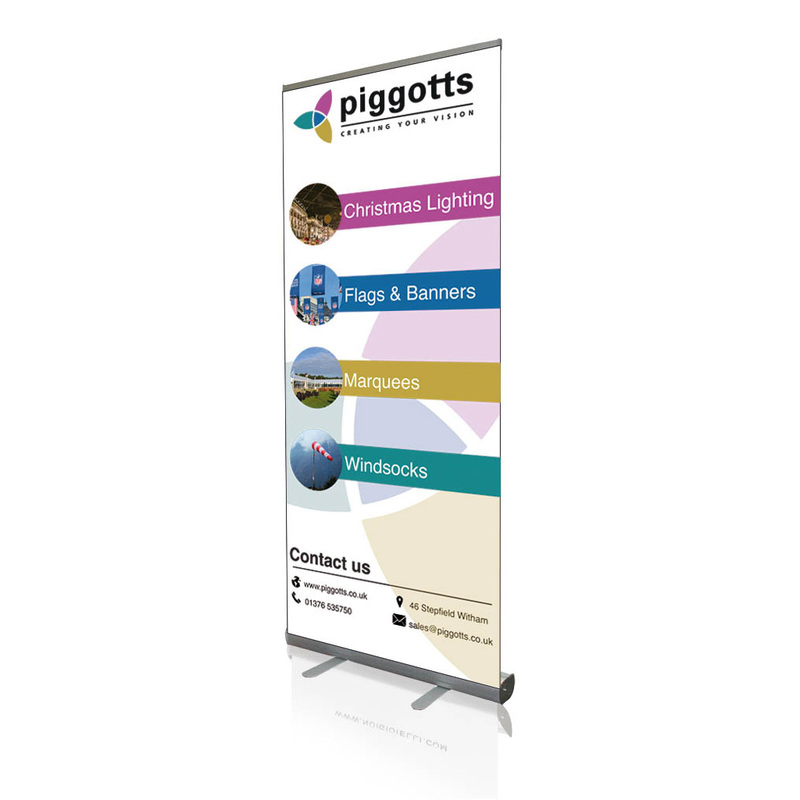 The zip roller banner offers excellent value for money and functionality. This lightweight cassette with a standard extension pole and plastic retaining clip is ideal for use in London or those one off exhibitions. The zip is quick and easy to put up and take down. The Zip banner even comes with its own travel bag and cassette which is guaranteed for two years.